There are four literal interpretations of YOM (the Hebrew word for day). The four definitions are (1) a portion of the daylight hours (2) the entire daylight segment of a twenty-four-hour day, (3) a twenty-four-hour day, and (4) a long but finite time period. Unlike the modern Hebrew and English, biblical Hebrew had no other word for a finite era or epoch. The figure of speech of “a day is like a thousand years” in 2 Pt. isn’t an issue, it’s a simile; I don’t advocate that 2 Peter permits and old earth interpretation in Genesis. The four definitions of YOM are literal definitions; it’s unnecessary to say it’s non-literal. Also, the issue of a numerical adjective in front of YOM, there is no such rule or law in Hebrew grammar that necessitates that YOM following a numerical adjective must be the twenty-four-hour interpretation of YOM. The divisions of the days are “evening and morning” which signifies a division between the period of time (you’re going to have a hard time taking the text “literally” if you want to say there was evening and morning without a sun to make the distinguishing nature of evening and morning…). Even YEC’s must concede that the first three days of evening and morning are not used in the sense of referring to solar rotations, merely a division of time). William Wilson, in his Old Testament Word Studies, explains that YOM is “frequently put for a time in general, or for a long time; a whole period under consideration… Day [YOM] is also put for a particular season or time when any extraordinary event happens.” This is completely consistent with a kairological (differing from a chronological reading in that [Gr. kairos] it is a point of time specific to an event) reading of Genesis 1 as advocated by William Dembski in The End of Christianity. The following are a list of podcasts that I’ve been following and listening to that have been quite helpful in my philosophical, scientific, and theological studies. The criteria for consideration are based on 1) quality of content, 2) accurate presentation of the material, 3) constructive and respectful criticism of opposing views, 4) frequency of podcast release, and 5) a broad range of topics/issues discussed. I just wanted to share this interview conducted by Brian Auten with Apologetics315 and astrophysicist Jeff Zweerink with Reasons to Believe. My graduate research is on fine-tuning and the multiverse so it’s hard for me to pass this up. I’ve provided a list of recommended books that will hopefully aid you in having a foundational Christian worldview by being knowledgeable in many fields. Today I’ve provided a list of my top ten recommended science books. 10. 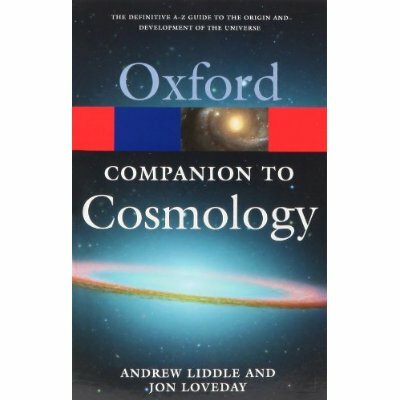 The Oxford Companion Series: These books are quick and easy to read set up in a dictionary format for easy reference. When you come across terms like inflationary perturbations you have something to help you understand what it is you’re dealing with. These are available in many fields of science. 9. On the Origin of Species by Charles Darwin: This is a fundamental and landmark text for evolutionary thought. Agree or disagree with Darwin in any area you still need to know his work. 8. The Inflationary Universe by Alan Guth: Guth is the father of inflationary cosmology and this work is seminal in its field. Read this book, familiarize yourself with the concepts and consider the implications that inflationary cosmology may or may not have. This is the leading thought in cosmology, get to know it. 7. Darwinism, Design, and Public Education by John Angus Campbell and Stephen C. Meyer: Campbell and Meyer offer a rather detailed discourse on the state of evolution and design in academia and the public sphere. Though this isn’t primarily a scientific text it will help acclimate you to where the discussions are and where they are going. 6. 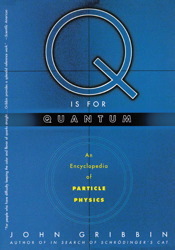 Q is for Quantum by John Gribbin: Gribbin’s book is a systematic set of concepts, people, interpretations, and terms that is easy to follow and understand. Consider this the Oxford Companion on steroids. 5. More Than A Theory: Revealing a Testable Model for Creation by Hugh Ross: Ross is a Christian astrophysicist from the science think tank Reasons to Believe. What I appreciate about this book is that Ross puts the Christian doctrine of creation in empirical harms way. This is an excellent read and I highly recommend it. 4. Space, Time, and Spacetime by Lawrence Sklar: Sklar introduces the history and philosophy behind physics. Before diving deep into Einstein or Bohr try working through Sklar’s text as he guides your through the fundamentals of geometry, space, and other concepts crucial to having a solid understanding of physics. 3. Signature in the Cell: DNA and the Evidence for Intelligent Design by Stephen Meyer: Meyer’s work is quite exhaustive in its attempt to consider the options for what is the source of the information required for life to exist. This isn’t the hardest work to read but it’s not a walk through the park either. Enjoy the several hundred pages as he discusses the role of information not only in biology but also as he briefly touches questions from cosmology. 2. A Matter of Days: Resolving a Creation Controversy and The Genesis Question: Scientific Advances and the Accuracy of Genesis by Hugh Ross: I had to use the two books in conjunction with one another. A Matter of Days provides the exegetical and hermeneutical aspect of creation and The Genesis Question correlates how the biblical text relates to the scientific questions. Though A Matter of Days isn’t a science book it does well with The Genesis Question being that when it comes to science, the doctrine of creation is most attacked doctrine. These two books will equip you biblically as well as scientifically. 1. 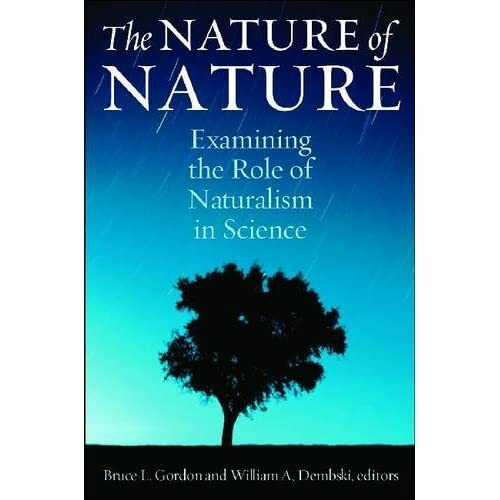 The Nature of Nature: Examining the Role of Naturalism in Science by Bruce Gordon and William Dembski: Gordon and Dembski’s work is a series of papers and essays written by leading scholars in biology, cosmology, math, psychology, neuroscience, and philosophy. It discusses epistemic, metaphysical, and ontological aspects associated with science. This is essentially and philosophy of science text that allows you to develop theoretical approaches to interpreting the scientific facts. This is a must have.